Parents, Riders, Owners, Breeders, Family, Friends, Attention…..
90 Seconds From a Dream Ride on Lingh™ ! A dream within your reach, a ride of a lifetime! Imagine yourself on a world – class top horse, the probability to make this dream come true is as low as choosing the correct six numbers in a lottery. Yet now is your chance and yes it is possible!! The opportunity is upon you and Karin Reid Offield has made it possible with three simple words, “Yes we can”. A very lucky reader of St. Georg has an opportunity to mount the World Cup Reserve Champion and World Games Dressage Team Silver medalist, Lingh, formerly ridden by Edward Gal. 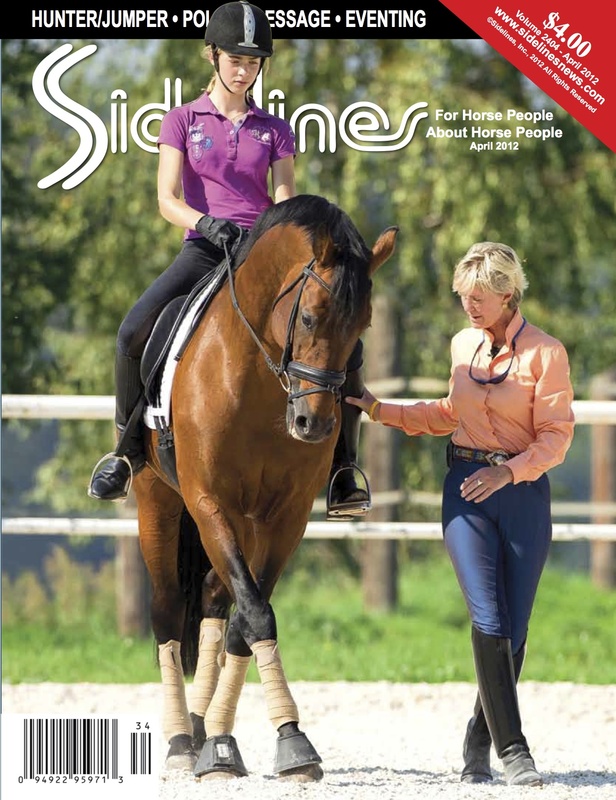 Karin, Lingh’s owner, will give riding instruction to a very lucky winner. What do you have to do to be able to ride Lingh? What we need from you is a 90 second video where we can see you riding and a brief explanation of why it should be you winning this incredible opportunity. Besides the training hour on Lingh, the winner will also be offered a tour of the Birkhof Stud and a family meal together. Of course, an editor from the St. Georg will be there to capture the event on film! Send in your video and letter to foto@st-georg.de. 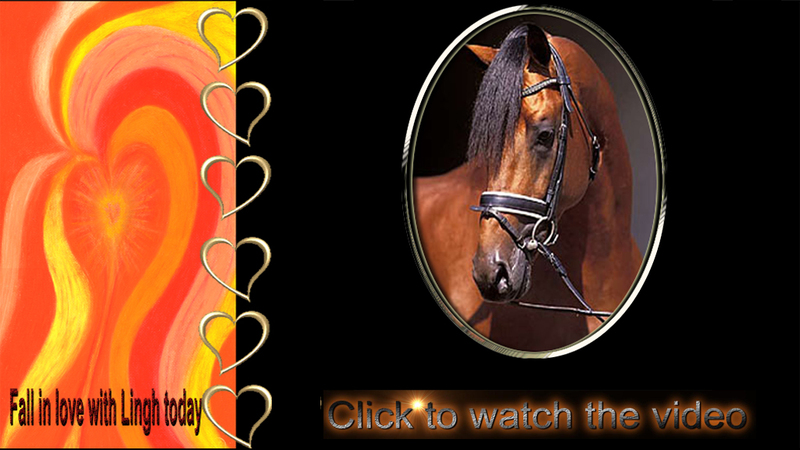 We will put videos on-line and then there will be a vote by our readers. A jury of experts and Karin will review the reader’s choice of the best ten videos and then the jury will select and invite the lucky winner. Not a reader of St. Georg ? International entries will be accepted.The dead line for entries is June 20th 2011. 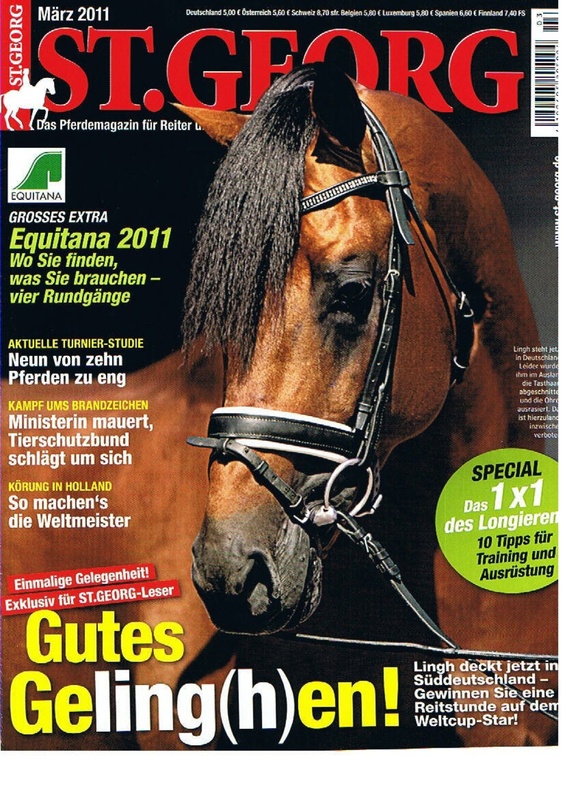 The Ride on Lingh™ will take place the 5th week of September 2011 at Gestut Birkhof, Donzdorf, Germany. Winner of the ‘Win a Ride on Lingh’ Contest formally announced ! ANNOUNCED IN THE GERMAN ST GEORG MAGAZINE ON-LINE ….